In the middle of the Bluegrass, in Versailles Kentucky there is a Castle! Yep, who would have thought right? Well Ryann and Nathan planned their rustic wedding right next to this Castle, on the cute and charming Castle Hill Winery. Their ceremony site sat on top of a sunny knoll, with a great view of the Castle. 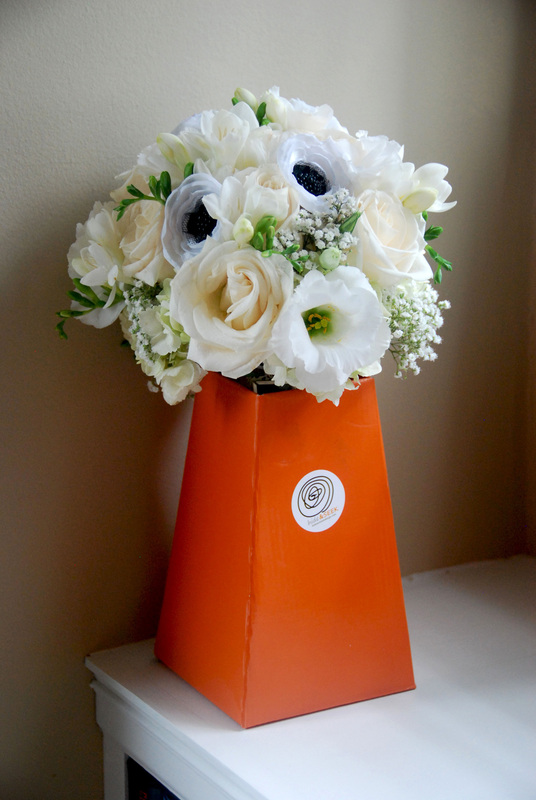 Ryann was enjoyable to work with and very enthusiastic and open to all sorts of different and unique ideas for her bouquet. 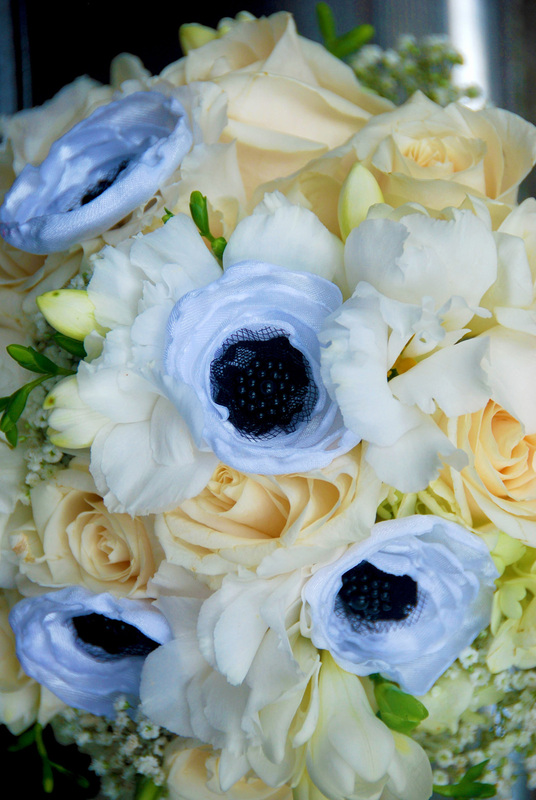 She had always wanted white anemones for her Wedding, the beautiful all white flower with bold, black centers, but unfortunately they are out of season in the fall. 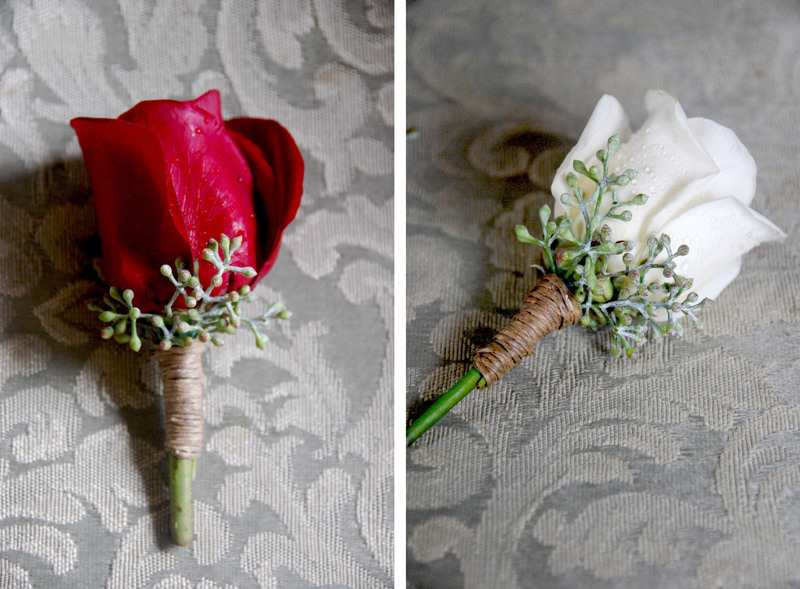 So as a compromise / substitute, we used awesome, fabric flowers! Just loved this addition! Not only was it a billion times better than using silk flowers, but it added a very unique touch to her special day. 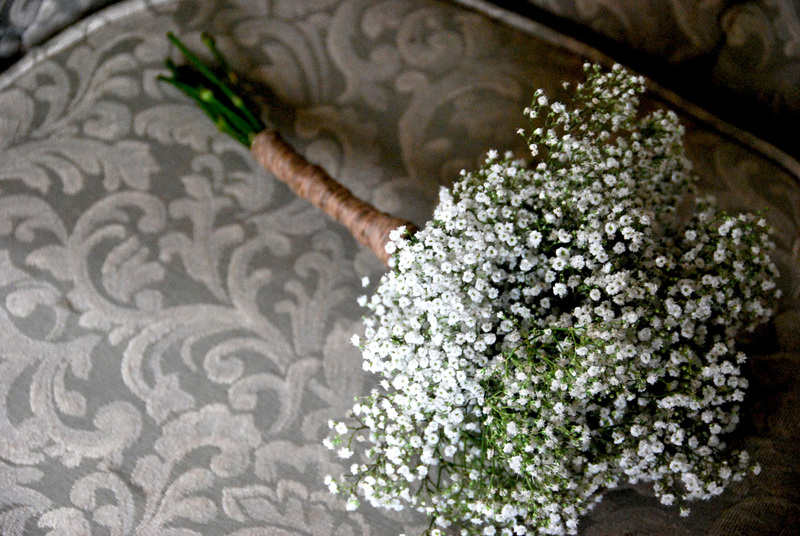 The rest of her bouquet was comprised of hydrangea, freesia, ranunculus, spray roses, baby's breath, etc. 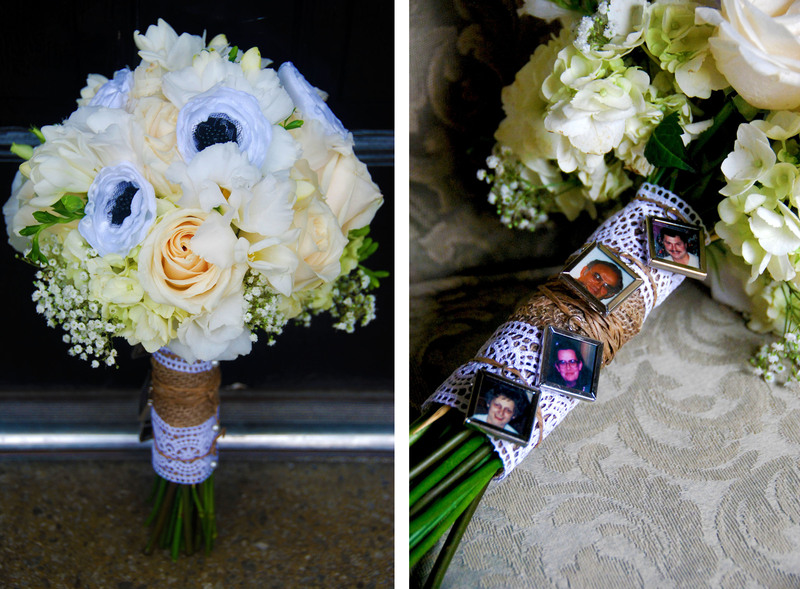 We also tied memory charms to the handle treatment of her bouquet. All her loved ones that could not be physically present on this day walked with her in spirit. Love this touch and think more brides should use this idea! All the bridesmaids' bouquets were simple with red roses. 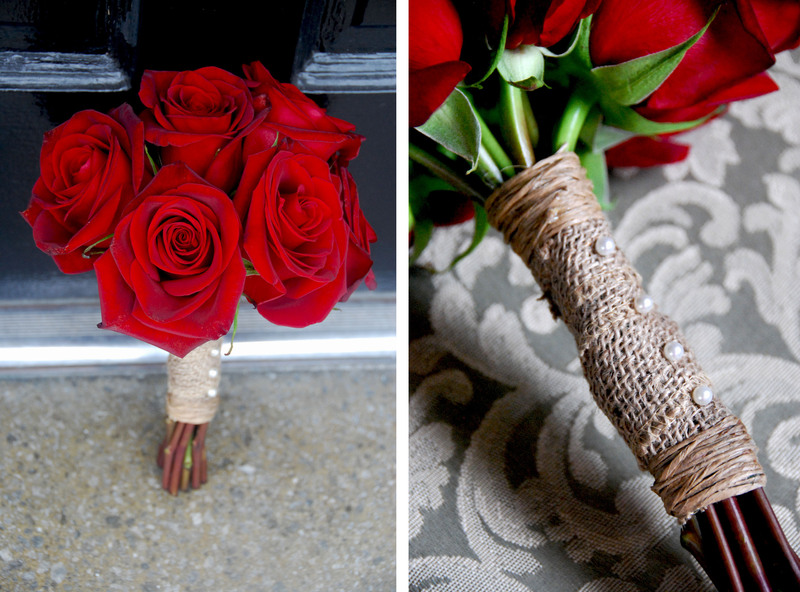 The burlap handle treatment added rustic class. 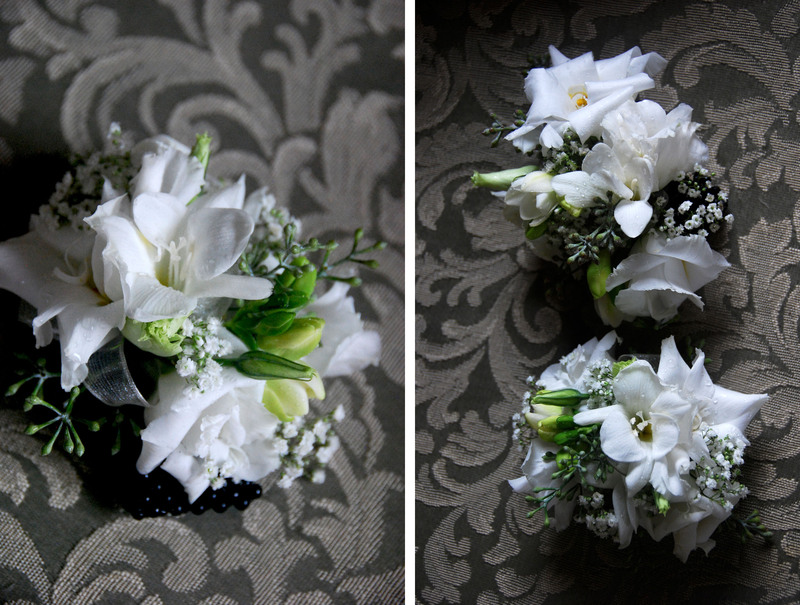 Also, the boutonnieres came out great with the addition of the seeded eucalyptus. All in all everything looked rustic but clean and matched all the decor at the ceremony and reception. Congrats again Nathan and Ryann. Best wishes to you both and your life together!